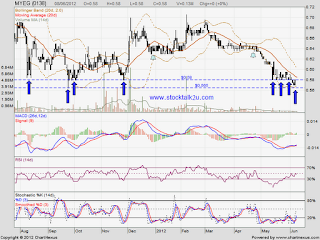 8 June 2012, MYEG retest RM0.58 resistance level. If the bull strong enough, it might break through MA20 resistance. 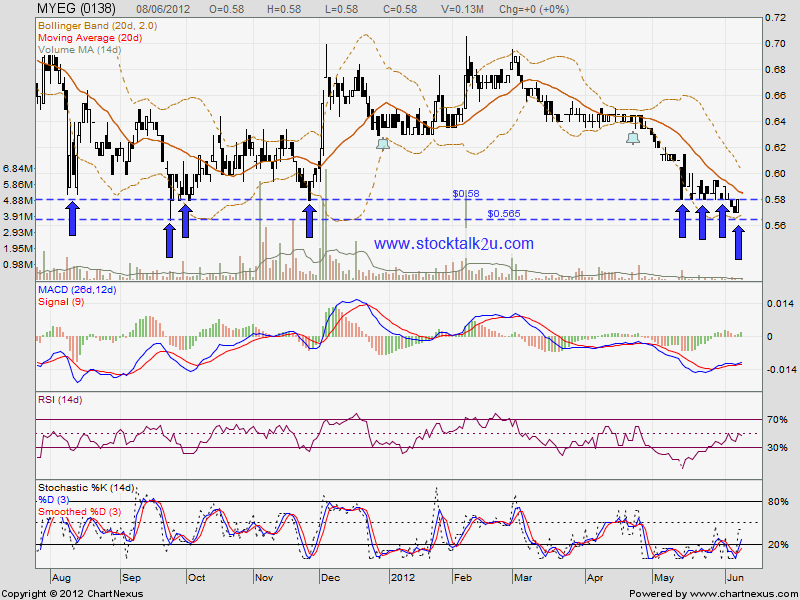 If retrace down, may look for RM0.565 support level.